We had a bunch of apples and they were coming to that point where something had to be done with them. I knew they weren’t going to be eaten on their own as I really only like the tart green apples. As much as I enjoy apple pie, I just wasn’t in the mood to make one. It had to be something new. So despite the fact that it’s not really the season for apple dishes, I thought it was finally time to try my hand at apple butter. I blended the apples into a sauce, and simply cooked it down with a bit of sugar and some spices in my slow cooker. 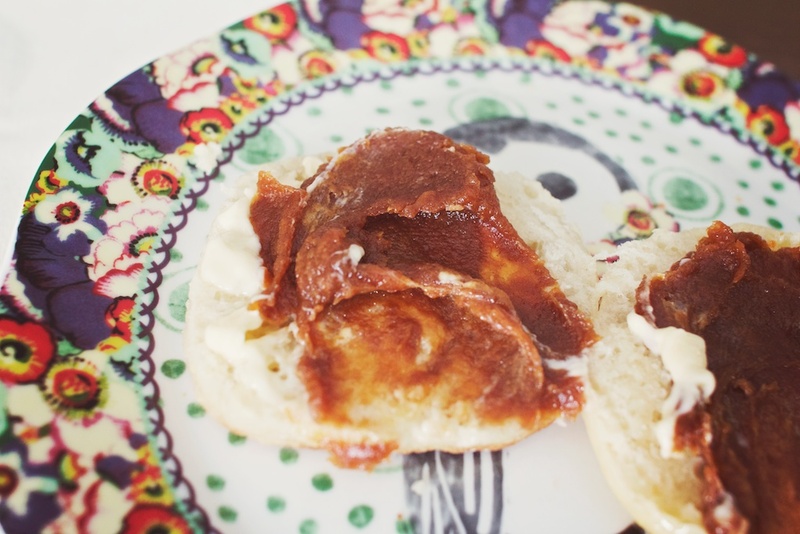 24 hours later I had creamy, delicately sweet apple butter. I didn’t get all fancy and preserve the jar, I just popped it in the fridge as there’s only enough to last about a week (less at this rate). As a complement, I made some simple English muffins so I wasn’t just eating the butter out of the jar. I love the combination of the savory muffin and earth balance with the apple butter. I think it would also be great stirred into some oatmeal or in the middle of a layer cake. Yes please. With summer fruits around the corner, maybe I’ll get daring and try my hand at some jellies and jams. Oh my god, I have to try this! It looks AMAZING!! Yum yum yum!!! 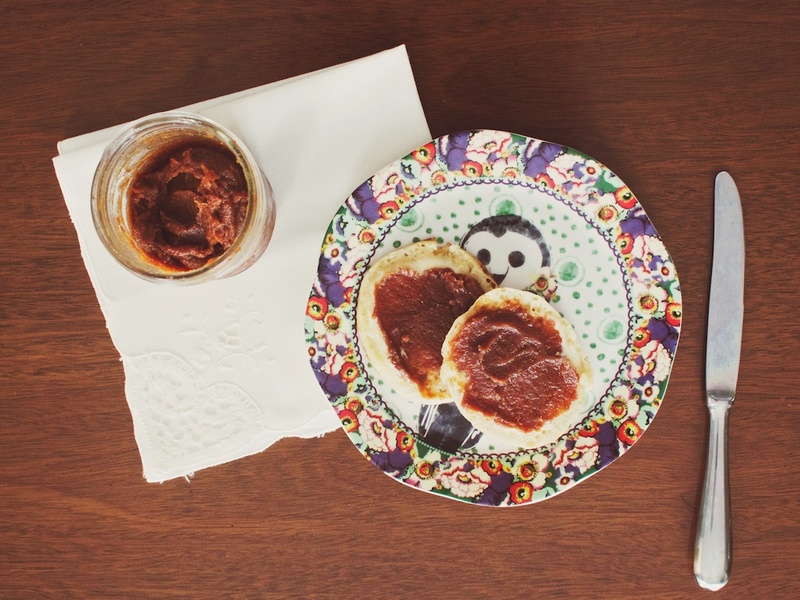 I will definitely whip up some apple butter soon – how perfect! 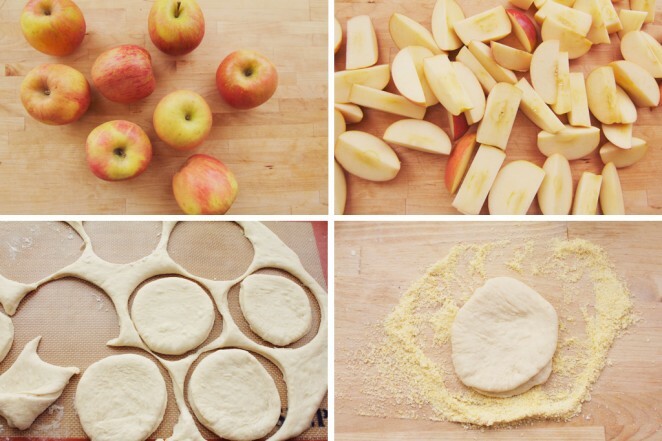 Is it weird that I kind of want to dip apple slices in it…?? Love your beautiful blog by the way!